As our lead textile designer, there’s no surprise Sarah’s got a rich and varied design history. With an art foundation course and a four year furniture and product design degree under her belt, she’s been working in the furniture industry for almost 15 years. In 2002, she helped assemble a collection of fabrics and furniture for London’s prestigious Victoria and Albert Museum. And it’s these credentials that made her perfect for the Arlo & Jacob team. So we thought it was about time for a cup of tea and good catch up. How long have you worked at the Long Eaton factory? I’ve been at Long Eaton for 12 years now, seems like a lifetime! How did you get into [your role]? I studied furniture and product design at Nottingham Trent Uni and was lucky enough to get a job straight away. That’s why I love the ‘Future of Textile’ competition Arlo & Jacob run, as it means I get to work with the textile students of today. This is a hard one as I see so much gorgeous furniture every day so I really find it tricky to pin down a favourite style! I do love deep furniture with lots of plush cushioning though, sofas that you can really sink into and snuggle up on after a long day at work. Tell us one thing about your job we wouldn’t expect. Not one day is the same. I go from liaising with suppliers and traveling to world class mills, to visiting key trade shows such as Proposte in the beautiful setting of Lake Como. What’s the most important skill required for your job? It’s got to be multi-tasking. I’m having to juggle such an array of jobs and skills, but I really wouldn’t have it any other way! What makes an A&J sofa different to other sofas on the market? 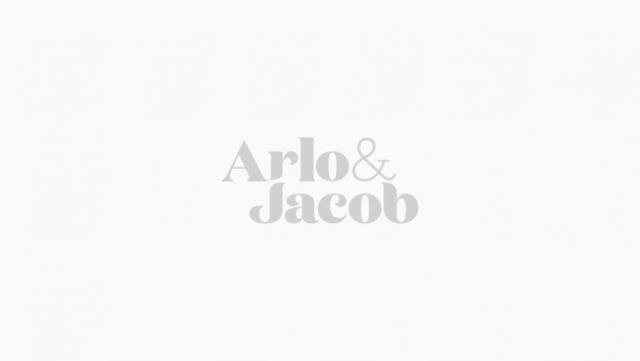 All of the Arlo & Jacob sofas are made in the UK and this along with the comfort and attention to detail, really give Arlo & Jacob a uniqueness I personally haven’t seen in other furniture brands on the market today. What was the first piece you worked on? The first thing I worked on for Arlo & Jacob was putting the house fabric collection together. After sourcing from mills all around the world, I collated over 120 fabrics, a collection I am really proud of. Particularly love the new Soft Velvet collection in vivid brights, Mallard is personal favourite. I am also involved with the product development process so have been involved with the very first designs to the exciting new launches we’re seeing now. Which is your favourite A&J piece and why? I love the Wallis Armchair, it’s just so comfortable and it’s fluted back means you can truly sink in a relax. But as I have the insider knowledge of what is to come, watch this space for the Dixon and Crawford, I am finding it hard to pick between the two! Also a big fan of the recently launched Cartwright, it’s so plush and comfy with a unique look.